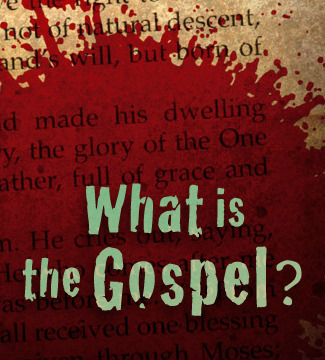 Mt Bethel Baptist Church / Good News / What Is The Gospel? The Gospel is the good news that Jesus Christ, the Son of God, died for our sins and rose again from the grave. On the cross, Jesus took upon Himself the punishment for our sin and died the death we deserve. Three days later Jesus rose from the grave and He conquered death. The good news is that anyone who will believe in Jesus for forgiveness of sin will have eternal life. God loved us so much that He sent Jesus into this broken world in the weakness of humanity, to live an obedient life to redeem us from our disobedience, to die a sacrificial death to atone for our sins, and to rise from the dead to conquer the death our sin deserves. This is good news because now, thanks to Jesus, we can be forgiven and free and reconciled to God the Father. The gospel is the good news about the salvation purchased by Jesus Christ, by which He rescued sinful people to a holy God. Because this good news is true news, if you repent of your sins and ask God for forgiveness by confessing that Jesus is Lord and believing in your heart that God has raised Him from the dead, you will be saved.